Add a touch of cool sophistication to a home bar or commercial project with the Cedro Bar Stool by Eichholtz. The minimalistic shape and sleek framework is both stylish and comfortable. Upholstered in a choice of clarck sand or grey linen fabric, Cedro is crafted with a plush foam seat for a luxurious feel. Finished with delicate button detailing, the exterior contrasts beautifully with the smooth look of the seat and backrest. 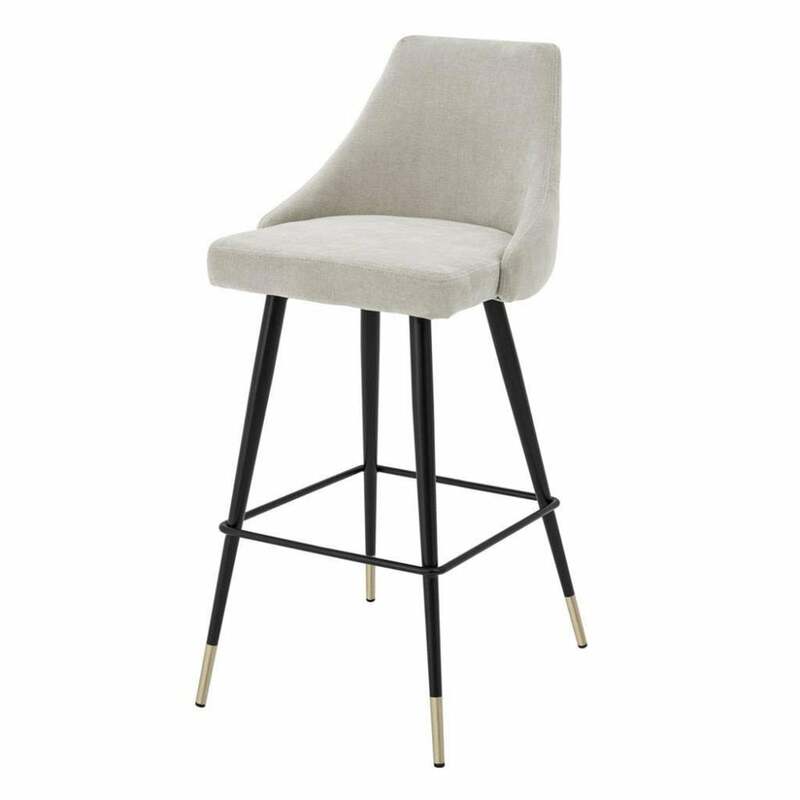 Featuring elegant, black iron legs and brass capped feet, the Cedro Bar Stool offers 10cm more height than the Cedro Counter Stool, making it an ideal choice for living spaces with high ceilings. Get in touch for more information and advice.